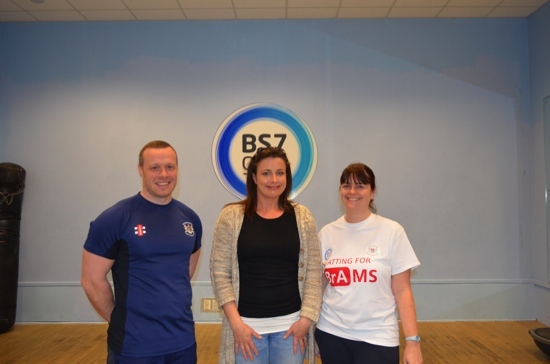 A PROJECT which launched at BS7 Gym in Bishopston to support Multiple Sclerosis patients has been so successful, another class has launched. The 'Batting for BrAMS' physiotherapy scheme, launched last September, has enabled patients to return to work, seek further employment and have the confidence to undertake regular, high-level exercise. MS is a disease of the central nervous system, which affects around 100,000 people in the UK, and over 2,000 in Bristol and Avon region. The course, lasting six weeks, is the first of its kind in Bristol to be introduced. It teaches patients complex balance skills and movements in an environment where individual needs are understood and accommodated for. Some have then joined BS7 Gym at a special discounted rate to ensure exercise becomes a part of their daily lives. Nathan Walsh, personal trainer at BS7 Gym said: "I’ve decided to set up a second class on Fridays where, after a 40 minute workout, the group has an opportunity to socialise and enjoy the facilities in the new Bristol Pavilion. "It’s a fantastic opportunity for the ‘Batting for BrAMS’ group to continue to build on their progress which has been inspiring to watch develop over the first few months the project has been going." Course participant, Del McIntosh, added: "I was so pleased to be able to join the programme and meet other patients like myself. "The classes have enabled me to take control of my life and have given me the confidence to manage my MS symptoms effectively. My husband has commented that he now has his wife back and friends have said I have regained my sparkle." The classes are led by MS specialist physiotherapist, Tania Burge, with the help of nurses from BrAMS and personal trainers from BS7 Gym. She explained: "It is wonderful to see how much patients have progressed enabling them to reach their own personal goals. For example, one of the patients has started training for a half marathon after starting to run again following a relapse." For further information about BrAMS (Bristol and Avon Multiple Sclerosis) clinical centre based at Frenchay Hospital, contact: 0117 340 2992 or for information about the ‘Batting for BrAMS’ scheme, contact BS7 Gym on: 0117 910 8000.